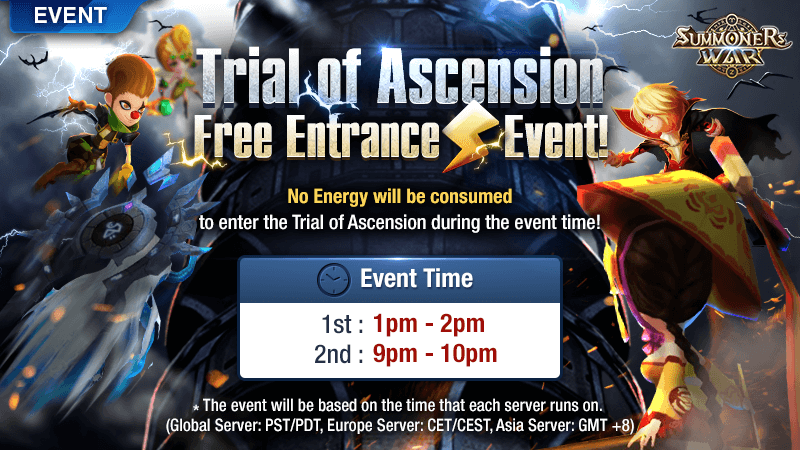 The Free Entrance Event for the Trial of Ascension has begun! Aim for higher floors without consuming any Energy! No Energy will be consumed to enter the Trial of Ascension during the event. * The Trial of Ascension will reset on Nov.​​ 14th at 9pm PST.